Pretty amazing dollhouse! It is so beautiful and colorful. It really is large too. The details are so cute. Makes it look realistic. It is super sturdy. I love the fact that it is wood and not plastic. 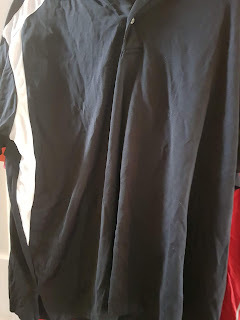 It is large! OVER three feet tall. The pieces of furniture add so much to it. You could easily add more furniture if you would like, but it looks great as it it. It comes complete and ready for play. 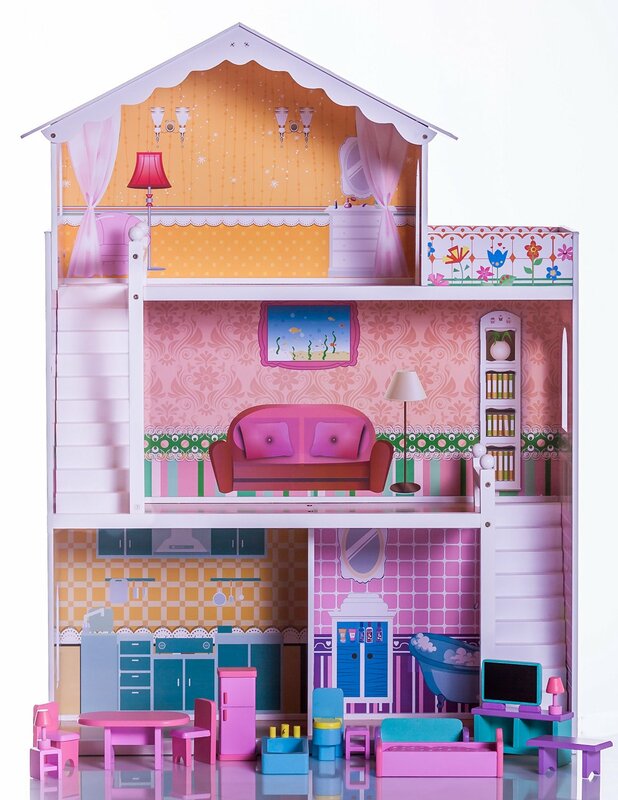 This would be the most amazing dollhouse gift for a little girl. It is so big, there is plenty of room for even two or more children to play. Even the sides of the house look adorable. I love it so very much. 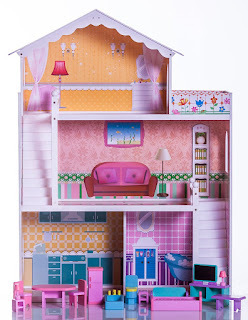 The house comes with instructions and it is pretty easy to put together. It would be great for any child waking up and finding this under the Christmas tree. Would also make a great holiday or birthday gift. The two stairs also add a lot. It's nice how the other one goes up to the top third floor.